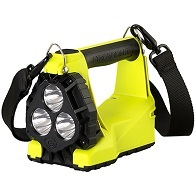 The rugged, rechargeable LiteBox® was Streamlight's first lantern with a swivel neck for full right-angle lighting. Whether you need a flood light to illuminate a wide area, a spot light to make inspections from a distance, or just high lumens, the Streamlight lanterns are available in systems and configurations to meet your lighting needs. The rugged, rechargeable LiteBox® was Streamlight's first lantern with a swivel neck for full right-angle lighting. Whether you need a flood light to illuminate a wide area, a spot light to make inspections from a distance, or just high lumens, the LiteBox® series is available in systems and configurations to meet your lighting needs. Being able to see and be seen is important when you’re in a smoke-filled room. Whether you prefer a halogen lamp or a C4 LED, both models feature the two ultra-bright LED taillights that have been a hallmark of this lantern since it its introduction. These taillights are what make the Streamlight® Fire Vulcan® series such a critical firefighting tool – your partners can follow you through the thickest smoke and find you fast in an emergency. Designed to put light where you need it, the Streamlight® Knucklehead® is the most versatile light you’ll ever own. The Streamlight® Survivor is a lightweight, hand-held personal light with right angle head designed for use in hazardous locations. It features a bright piercing beam that cuts through smoke, fog and mist for greater visibility. 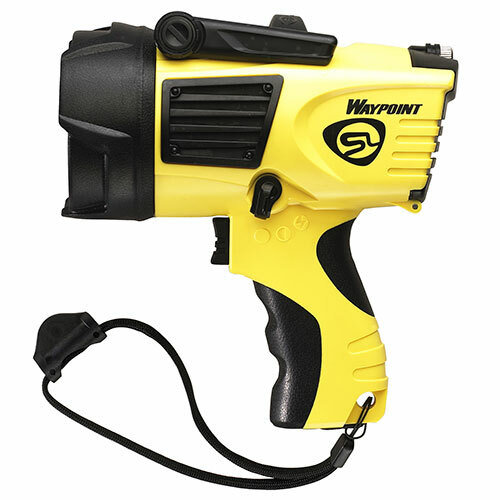 The Survivor® also has a spring-loaded clip that grabs onto gear for easy, hands-free use. The Streamlight® Portable Scene Light is rapidly deployed and easily stowed. With 3,600 lumens for your work area and a 72” extension pole, this light goes almost anywhere.